It’s Someone’s Biiiirrrrrtttthhhhdddaaayyyyyyyy! (in my best Oprah voice). It’s Thirsty Thursday and Brady’s birthday so that means…. We feature Brady’s favorite drink!!!! Last year I shared with you how my wonderful husband is all man. Well a true man drinks nothing other than beer. Brady loves beer. 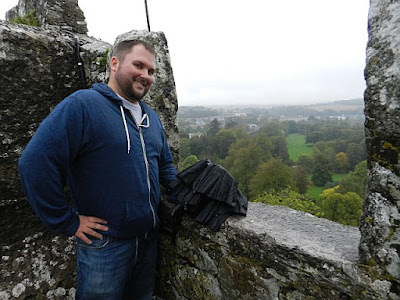 When I shared with him my excitement over penning this post for the celebration of his birth, I asked what beverage I should feature and he said “beer.” He also added that currently his two favorites are Three Floyds Alpha King and Smithwick’s. 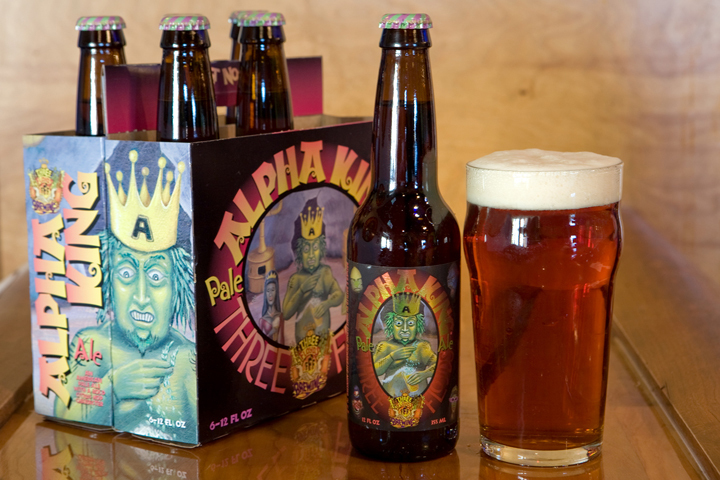 3 Floyd's flagship beer, Alpha King is a big American pale ale that pours a deep amber with a creamy head. This ale is brewed with Centennial, Cascade and Warrior hops giving it an intense citrus aroma and crisp hoppy finish. Brady’s second favorite beer is Smithwick’s. No, this isn’t a family brew, it’s a delicious Irish red style beer from Kilkenny, Ireland. According to Wikipedia, Smithwicks continues to be brewed in Dundalk and Kilkenney, but tankers are sent to Dublin to be kegged for the on trade market. An interesting fact about this beer is that the brewery is situated on the site of a Franciscan abby where monks had brewed ale since the 14th century. AND another fun fact: it’s Irelands oldest operating brewery! Today Smithwick’s is the major ale producer in Ireland. I approve the Smithwicks taste. I’d say it’s smooth with a bit of a bitter taste at the end, but good! Kind of refreshing! Next time you see the hubs out, buy him a beer to toast another year of life! It’s a bird, it’s a plane, it’s a….